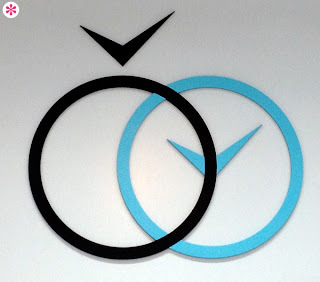 This is the logo of a jewelry store called Diamonds and Dials, near Herald Square in Manhattan. I think it’s a remarkably smart little logo, repeating two simple bits of geometry to create a pretty effective rebus of the store’s dual name. This is the logo of an outdoor clothing manufacturer and retailer. While I appreciate that they’re trying to make their mark both a G and a mountain shape, the result is awkward and unpleasant. As a mountain, it just isn’t. And as a G, it looks more like it belongs in the logo of a bad hair metal band whose CD is sold for a dollar from the large wire basket outside the FYE at the mostly abandoned strip mall in your town. Just for fun, leave your suggestions for the name of that band in the comments.